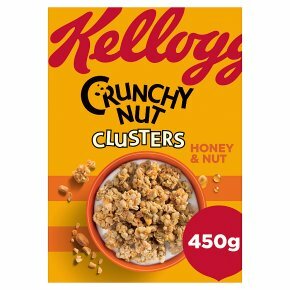 Crunchy Multi-Grain Cereal, Peanut & Honey Clusters. With wholegrain. No artificial colours or flavours. Suitable for vegetarians.